At this time of the year, the city of Iqaluit hosts the Toonik Tyme Festival, which celebrates Inuit traditions and the return of the spring! This entirely volunteer-run event brings families and friends out for two weeks of traditional Inuit activities, from April 11th – 21st, 2019. The festival includes snowmobile races, igloo building, dog team races, scavenger hunts, craft fairs and tutorials, and food banquets. This festival is great for families and meant for everybody. There are activities for young children, teenagers, and adults, and it’s all free to enter. 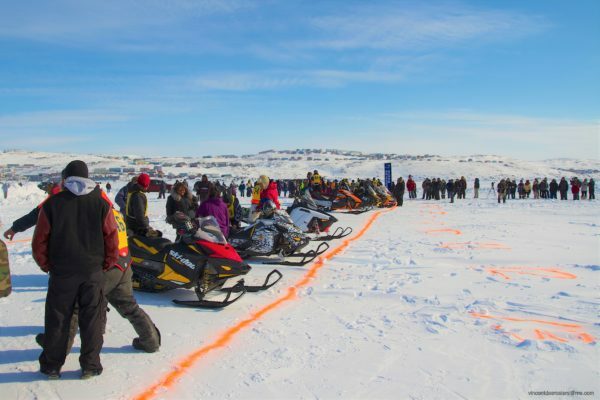 The Toonik Tyme Society, local organizations and businesses, and over 100 volunteers come together for local Iqalummuit and visitors to preserve and showcase Inuit culture. In the spirit of inclusion, the opening ceremonies and most of the activities and events are conducted in English, French, and Inuktitut. 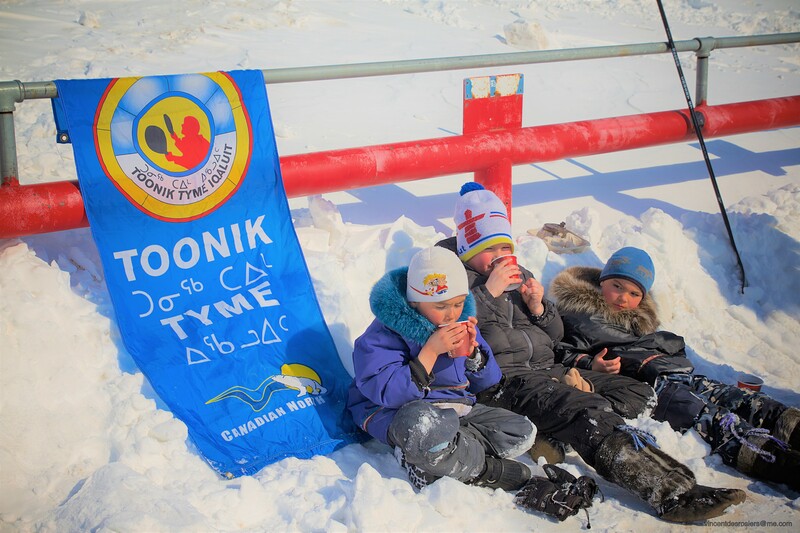 The main outdoor games take place on Friday, April 12th, which the city of Iqaluit has declared the official Toonik Tyme civic holiday so that families and the whole community can come out and enjoy the activities together. You may be wondering where Toonik Tyme came from and how it began. Started by Bryan Pearson in 1965, and now run by a non-profit group called, 123Go!, Pearson and councillors from what was then called the Town of Frobisher Bay, now called Iqaluit, would pick a certain person to be awarded the Order of the Honourary Toonik to preside over the festival. In the early years, this honour was given to a distinguished guest that would be invited to Iqaluit. The first Honourary Toonik was the Right Honourable John Diefenbaker, former Prime Minister of Canada. Others have included His Royal Highness, Charles the Prince of Wales, former Governor General Roland Michener, and delegates from Greenland. Nowadays, the Honourary Toonik is awarded by nomination to an individual in the community that is an outstanding volunteer and demonstrates community spirit. “Toonik Tyme” is named after the “Toonik”, an individual from the Tuniit people. Also referred to as the Dorset people, the Tuniit lived in Greenland and the eastern Canadian Arctic before the Thule, who are ancestors of today’s Inuit that arrived from Alaska over 1,000 years ago. Legend holds the Tuniit in a near-mythical light. They were said to have an enormous stature and believed to be superb hunters that possessed superhuman strength and speed. These traditional hunters didn’t have the technology of bow and arrows or floating harpoons, so they relied on their strength and skill with a spear and lance for hunting up-close. Part of the myth of the Tuniiit is that they wore such long parkas that they used them as their own tents and kept seal oil lamps within them to keep warm while they waited for seals at a breathing hole. 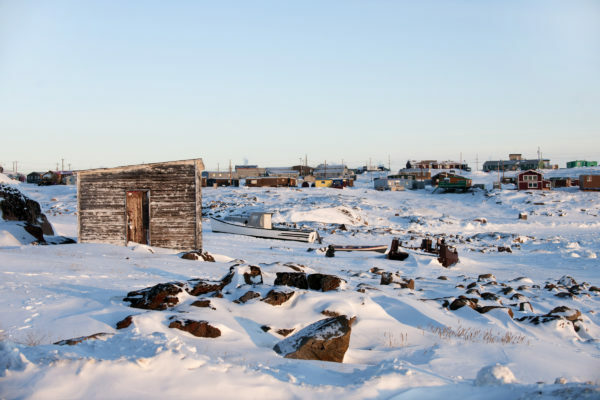 Roughly 600 years ago the Tuniit people disappeared from Greenland and the Canadian Arctic, but their history and legacy is remembered through ancient stories from the Inuit. And the icon of the Toonik lives on through this festival. When Toonik Tyme first started, the honourary Toonik would come over a hill, clothed in caribou-skins and their face would be covered. Everyone would try and guess who it is and at the opening ceremony, they would finally show their face. Part of this tradition being preserved is the history of travellers being welcomed by communities. Hunters and nomadic people would arrive in towns or villages and be hosted with full northern hospitality. They would play games as gestures of unity or compete in ways that celebrate Inuit “Qaujimajatugangit”, which refers to Inuit traditional knowledge. Now visitors from around the world come to experience this cultural celebration. In the north, the arrival of spring is an important time of the year. 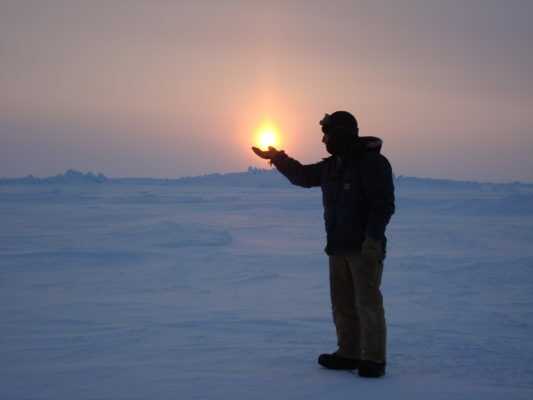 Since Iqaluit is below the Arctic Circle the city does not face the full 24 hours of darkness through winter, with six hours of light on the shortest day, so the festival is not related to the return of the sun like other communities such as Igloolik who celebrate the Return of the Sun. 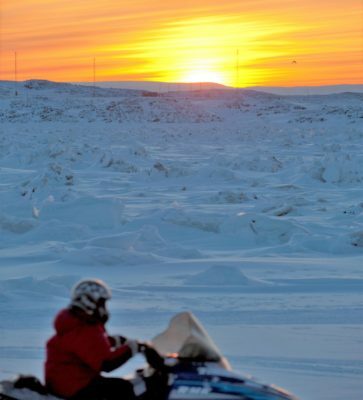 For Iqaluit, it’s for hunters and families to celebrate the warmer weather and the coming of spring. 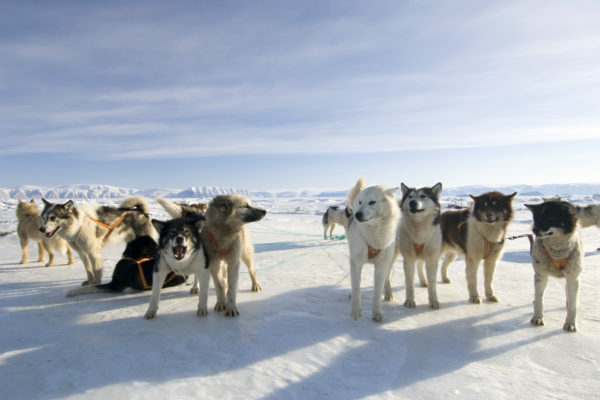 In recent years, the festival has aimed to return to more traditional activities like the dog sled races, igloo building and the seal skinning contest, but these events are quite dependent on the weather. These individual events are taken quite seriously and are inspiring to watch as competitors display their own Qaujimajatugangit. But the festival offers events for all ages and groups. More communal events divide teams into two groups, team ptarmigan are those born in the fall to the winter while team duck are those born from spring to summer. This comes in handy for big activities like the tug of war. If you are excited for spring and want to experience a northern celebration rich with tradition and filled with fun activities, its Toonik Tyme! Come see all the activities, the craft shows and tutorials, food banquets, and music from Nunavut and Nunavik musicians. It’s an experience you’ll never forget! If you were interested in experiencing Toonik Tyme next year, extend your time in Iqaluit before or after our Polar Bears & Glaciers of Baffin Island. What better way to experience the Arctic then celebrating the return of spring after seeing polar bears and the Arctic landscape that changes so dramatically through this season! 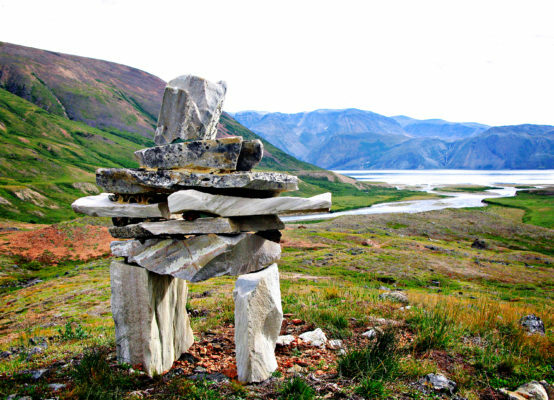 Direct flights from Ottawa to Iqaluit make it easy to enjoy Iqaluit and Toonik Tyme! Learn more about the Toonik Tyme Festival here. 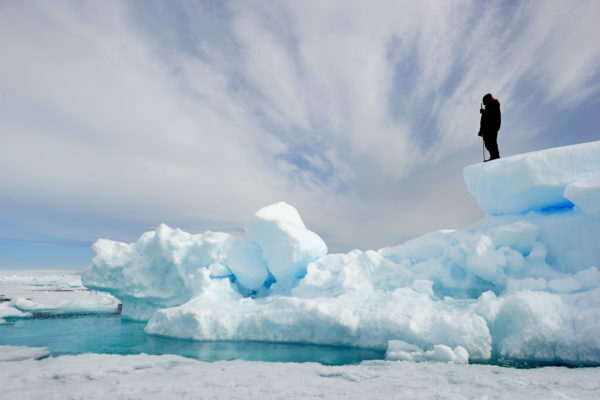 To experience an Arctic Safari explore Arctic Kingdom trips now.